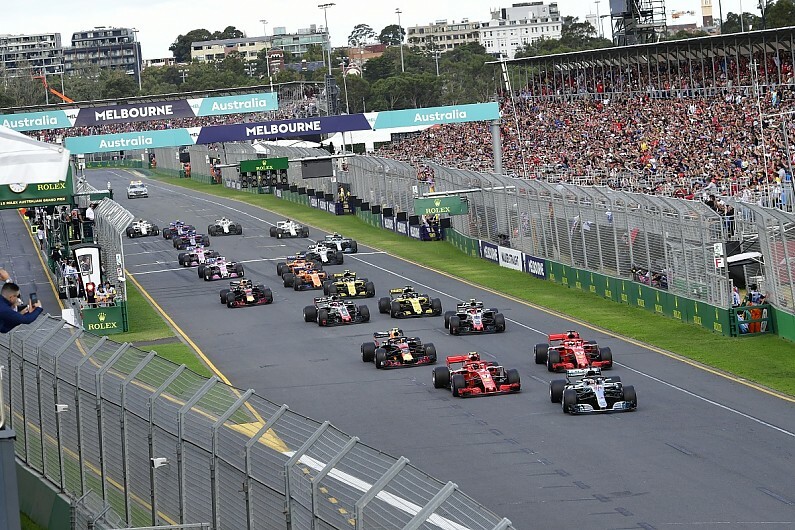 All twenty cars registered for the 2019 F1 season are set to take on the Albert Park track in anger for the very first race of the season. We go into this race slightly unsure what the pecking order is behind Ferrari. Expectation is that it is going to be a Ferrari one two, but which team shall have a car in the third slot on the second row of the grid. Most would probably think Mercedes, but we also wonder if Redbull may spring a surprise and put one of their cars ahead of the Mercedes. That said, this is the sort of season where a Haas or Renault slipping ahead of the Redbull and or Mercedes at Albert Park cannot be ruled out but unlikely. The top end of the midfield is super fast this season. There has been 34 grand prix at Albert Park since it took over the Australian GP from Adelaide in 1996. The circuit is 5.3 km in length with a race distance of 307.3km. This is a sweltering 53 laps of 16 corners, two fast swooping curves and two straights of the second lest undulating track on the calendar. Grip level are low here since the track is only used only at F1 race weekends each year. Michael Schumacher is the most successful driver to race this particular track with 4 wins. Mclaren is the most successful team to win on this track with 11 wins. Of drivers on the current grid, Sebastien Vettel is the most successful to win this race with 3 wins [2011, 2017, 2018]. Since the Hybrid era began, Lewis Hamilton has placed his Mercedes on pole at every race on this circuit but has only won it on only one occasion in this period. However, Hamilton was won this race twice [2008,2015]. Jenson Button has won this race three times and Nico Rosberg has won it twice. The fastest racing lap record is held by Michael Schumacher since 2004 at 1:24:105. The fastest lap ever done on this track is by Lewis Hamilton at 1:21:167 during Q3 of 2018. Commencing from this grand prix onwards, one point shall be awarded for the fastest race lap. Chances are Schumacher's lap record may be broken this weekend. I challenge you to predict the grid order that the race would start on sunday [pole to 10th] and the race order at the end of the race [1st to 10th]. Last edited by Nitrodaze; 14th March 2019 at 17:13. It was pretty clear that Mercedes were not taking everything they could out of the car in testing but I don’t think Ferrari have shown their hand here yet. There are rumours that Totto will quit Mercedes/F1 at the end of this year so this is a very big year for them to get everything right. Ah, well.. I hope we at least see some good fights within the rest of the top ten. Mercedes are actually more dominant here this year than last year. Last year was just a special lap by Lewis to get that advantage. This year they looked like they could do those laptimes all day long. Mercedes are actually more dominant here this year than last year. What's so impressive about qualifying 14th in a potential top-ten car? I'm more impressed with Norris and Albon, who have each beaten their more experienced team-mates in spite of not having driven - unlike Giovanazzi - an F1 car around Albert Park before. If you notice, that was my Q1 take. Giovinazzi did well to elevate himself in Q1, but at the end of the day Norris was the real standout and Albon did well for himself. The Hass look damn good and it was good to see Kimi up there along with Perez. Here is my take on Qualy. 2. Stroll shows that all the money in the world doesn't buy you talent. 3. Hass will be more of a challenge to RBR than they imagine. 5. Norris is doing some amazing work so far. I'm not sure what Sainz is doing languishing that far back. 6. While i was impressed with Giovinazzi in Q1, overall I still think that Ocon should have been in that seat, albeit for the Ferrari connection of Gio. 7. Mercedes right now are dialed in while Ferrari have some work to do, now that they have a true yardstick to measure their car against. 8. Still very much impressed by Leclerc, but I gotta give vettel his due with a solid lap to claim p3. I just hope they let Leclerc drive and not shaft him the way they did Kimi in the last 2 years. give them both good strategies and let's see where things shake out by the time we get to Spa. It's worked for mercedes for the past 5 years and a change of approach is sorely needed at Ferrari. 9. Finally...Williams. It really is kinda sad to see how far this team has fallen. Let's not forget that they still have a strong mercedes engine in that car, so their demise is all due to the lousy chassis and mechanical engineering. On a brighter note, I was pleased to see that Kubica acquitted himself well all weekend (sans a few rusty mistakes). Russell is no slouch ( both he and ocon will be the future mercedes lineup in the near future) and being pretty much equal on pace with him is a good indication that he is up to speed. Shame that they are driving a rubbish car in a deteriorating team. Hopefully they can both finish the race tomorrow. Last edited by truefan72; 16th March 2019 at 14:45. I'm hoping for a points finish from from McNorris!